Suffolk based solicitors, Greene & Greene, is pleased to announce the appointment of Rob Adam as a new Partner in its Litigation and Dispute Resolution Team in the 125th Anniversary year of the firm. A qualified solicitor since 1995, he has comprehensive experience of dealing with commercial litigation, contentious trusts and probate claims, insolvency matters, claims against professionals and property disputes. 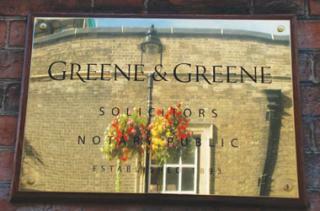 Prior to joining Greene & Greene, Rob Adam was Head of a large regional Dispute Resolution Team in East Anglia. Alongside Greene & Greene Senior Partner, Michael Batty, Rob is ranked as a ‘Leading Individual’ within East Anglia by independent legal guide The Legal 500 and was recently described as a “Strong Litigator who is knowledgeable and efficient, and a good negotiator”. Rob’s arrival cements Greene & Greene’s commitment and ambition to be the pre-eminent Dispute Resolution Team in the region. Stuart Hughes, Managing Partner at Greene & Greene, said: “Rob’s extensive experience in all aspects of litigation will further enhance the strength and depth of our tier 1 ranked dispute resolution team and the services that we can offer to our clients. For further information please telephone Jools Windermere on 01284 717430, visit www.greene-greene.com and follow @greenegreenelaw.